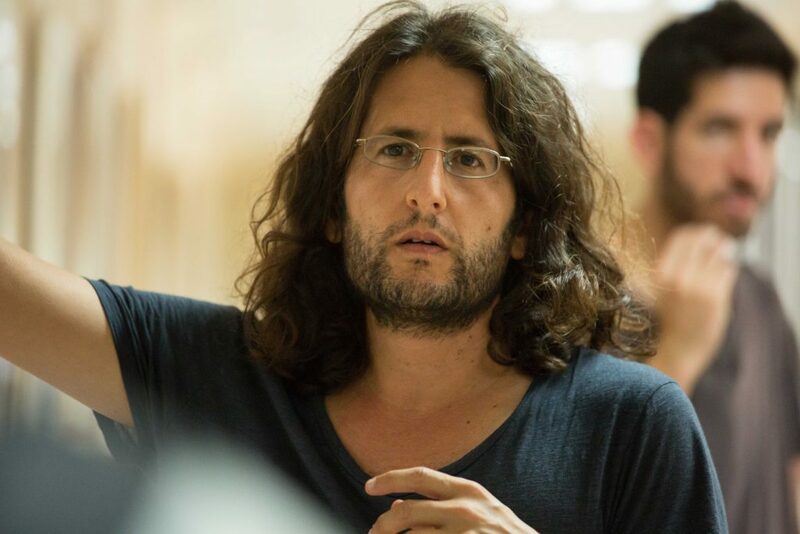 Matan Yair is the screenwriter and director of the Israeli film Scaffolding, one of the films in competition at the Singapore International Film Festival 2017, where it received a Special Mention. In his film, writer-director Matan Yair takes us through the life of his troubled teenage protagonist, Asher, whose teacher Rami opens him up to new possibilities in life. Rami commits suicide, leaving behind a note. Asher has many questions of life – those he wants to ask Rami, and those he wants to ask his father, whom he doesn’t get along with. The movie allows us to bear witness, as Asher explores life’s questions, and realizes that some questions may never have answers. 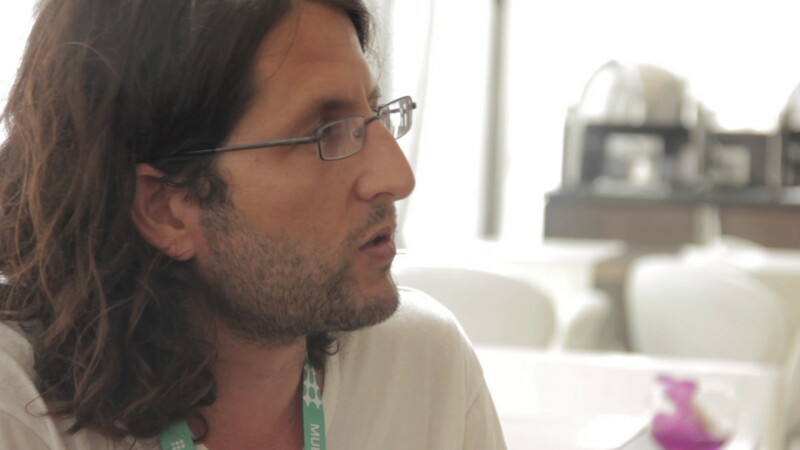 The World of Apu is pleased to present an interview with Matan Yair, who graciously responded to all our questions. I wanted to make films since I was 10 years old. When my parents bought a VCR, I watched many films as a kid – 1 or 2 a day. I was waiting for the movies to come from the video store – to watch new films, and to watch many times the films that I liked. I knew that I wanted to be involved making movies in some way. I didn’t understand what screenwriting is, what directing is, what producing is, everything was one and the same. When I was 16, in high school, I started to study in a school where they taught arts and had a film department. But I didn’t stay there for long, I didn’t feel comfortable. I began my journey again to make films after I finished my time in the army, but I was still a young man. All I knew was I wanted to make films. So I went to study BA in history and literature, just to have a more cultural perspective, about life and the world. I knew that it would help me in making films. After that I went to study screenwriting in Sam Spiegel in Jerusalem, and then I realized that you can’t really write scripts if you don’t experience filmmaking and directing, and understanding the set and actors – in my opinion. So I went to study directing in Tel Aviv University, where I completed my second degree in filmmaking. A little bit before that, I made a documentary about my father, which was on television and in festivals around the world. Then I made a very independent feature, which was like the first step before the movie Scaffolding. And now I’ve made made Scaffolding, which you can say is my first feature film with a budget and a production company, and all those things that are involved in making a real film. For my inspiration and influences as a filmmaker…I would say that I really liked, from the beginning, films with strong characters, with very good actors. I liked Robert De Niro in Taxi Driver, and then I followed his movies – Cape Fear, Goodfellas, and Raging Bull of course. In these films, I liked his presence. And then Jack Nicholson in One Flew Over The Cuckoo’s Nest, Gene Hackman in The Conversation, Al Pacino as well. I was drawn to films with strong, interesting characters. These are the films I liked the most. Also comedies – Chevy Chase, stuff like that. But I really liked, from the beginning, dramas like Secrets and Lies. Like I said, films with strong characters were my favourite. I think, in Israeli cinema, there is quite a freedom to make films on different subjects now, allowing for creativity. These stories can be personal, or from different backgrounds and locations, which are unique and interesting. There is an opening now in Israeli cinema, from Israeli audience. For many years, Israeli people didn’t go to watch Israeli films, because they weren’t technically good enough, or the story wasn’t good enough, or the acting or directing wasn’t good enough. In the last 15-20 years, it’s developing. It bothers me that people say, “Ah this film, it’s about the army again,” or “..the Palestinian-Israeli conflict,” so “we won’t go see it.” But I think that the human stories that come after the title are important. You know, if a movie is about the Israeli-Palestinian conflict, but there is a good story which is emotional and human and interesting and dynamic, it is interesting to watch. Many people just look at the title and say they won’t go to the film because it’s about this and this and that, without really knowing or giving a chance to the story that is really being told. There is an opening now, but on the other hand, there isn’t much openness from the audience for certain films because the title tells them something, and they don’t want to understand, or are not curious about what the movie is really about. Yeah, I would start with Eitan Green, who made the film Till The End Of The Night, which was in Cannes Film Festival many years ago. I would also say Eran Kolirin’s The Band’s Visit. I like what Nadav Lapid is making, like Policeman, which I thought was good. I liked Summer Vacation too, and Nir Bergmann’s Broken Wings. One film which was really important for me was Renen Schorr’s Late Summer Blues, which was about kids who are 18, and are about to enter the military. All the films that I have mentioned, I have them at home. I have watched them a few times. I am interested in the people that made these films, and I love their work. What was the inspiration for you to make Scaffolding? What sparked the idea? So there were few things that I wanted to deal with, especially, the feeling of abandonment. That is, Rami is abandoning Asher in a crucial moment in his life. This is something I wanted to deal with, from my own life experience. I have had this feeling once when my father left me and my family, and another time when I experienced the sudden death of a very good friend of mine. This feeling of abandonment, and the questions that arose after these events…I wasn’t getting any answers. So this is one thing the film deals with. The other thing that inspired me was that, as a teacher, I felt that a few years that were difficult for me. I was asking myself what I was doing in school, teaching kids who were not used to being in school. What is it I am teaching them? Teaching these kids, many times you feel that you are unseen. You are in class, but they don’t give attention to you. They don’t listen to you, they don’t pay attention. It’s a very difficult feeling to have. I started to write this fantasy about a teacher who becomes important to the kids, and all of a sudden, they become very interested in his life. He becomes a living memory for them. And I thought this can only happen if something dramatic occurs, and I was starting to think about the suicide as the reason for the dramatic tension. It will raise questions, maybe have a lot of influence on their lives, it may push them to look at the lessons they had and the pieces of literature that they read in a different and new light. I was starting to create this fantasy, and during that time, I thought to myself that it will be interesting to introduce the character of a kid who wants to read the suicide note. This kid that finds reading difficult, but he has an urge to read what the teacher left behind. Then I thought about Asher, who was my student. He could be this kind of kid, because he is very different from the teacher. They are very different physically, and also in their characteristics. I thought it will be nice to make the kid an unseen person. His father doesn’t see the real him, who is curious, who wants to know more about the world, who wants to broaden his knowledge, things like that. So it became this fantasy for me, about a teacher who committed suicide and a kid who wants to read the suicide note: a match between two people who are unseen. Rami, the teacher, is unseen by the system, by his wife, and by his kids. Asher, the kid, is unseen by his father and by the system. I wanted to make these two unseen people influence each other in life. The producer mentioned that some of the actors in the film are your real life students. Could you tell us more about them? How did you help them get familiar with the process of acting for cameras? Is the protagonist’s character based on student(s) you’ve encountered? All the kids in the film are ex-students of mine, including Asher, the main character. I was looking for kids who have an interesting face, kids whom I thought would be good in front of camera, who would be natural, and whose faces would tell a story. You could feel that these kids have a background, that they have a story, and a lot of character in them. That was the main thing. I was very familiar with them because I’d taught them. and I knew that they could deliver. When I asked them for things, they knew what I meant. We had the same background, the same experiences together, as teacher and students. And I gave everyone roles that are close to his world, lines I knew he would have said that way in real life, because it was close to his character. There is a kid in my class, Yosi, who stands a little bit against Asher. In one scene, they have this row in class. So I gave Yosi this part, because Yosi is the kind of guy who will say everything to someone’s face. He is not afraid of anyone, he is not afraid of Asher. I knew that he will be a good fit for this part. I believe that as a director, I have this eye to see who will be good on camera, and who won’t be good on camera. And the minute I saw, well not the minute, but after getting acquainted with Asher, I knew that he will have a very strong presence on screen. I knew that he can express himself well, he had a strong look. His eyes, his body language, the way he moves were all strong. I wrote the part for Asher knowing his abilities, and knowing the things he will bring to his character. I used everything that I could, so that he gives his best to the film and to the character. So it’s like, I knew what were my cards, and I needed to play with these cards. I didn’t put him in places or situations that would be difficult for him. No. I put him in situations and positions that I knew would bring the best out of him. So this is the way I worked with these guys, and especially with Asher. And…that’s it. The film ends with the questions that the protagonist asks his father. What was the thinking behind drafting those questions, and ending the movie on that note? So these questions are repeated in the film. As I said before, I wanted to stay with the questions that you don’t have answers to, or those questions to which you find answers inside of you. We start thinking about these with the paper that Rami gives the good class, the good kids. He shows them the work of Karl Haendel, Questions For My Father. He asks them to write their own questions. We understand later that Rami himself had issues with his father, because his father abandoned him when he was a kid. As for Questions For My Father, Asher takes it to heart, because of his relationship with his father. So he writes these questions. I thought that it will be nice, that it will be…interesting, to end the film with Asher understanding that he needs to address the questions not to Rami, but to his father. That is the moment that he feels brave enough to face his father, to look his father in the eye, and to ask him these questions that have always bothered him. He wants answers. Even if he doesn’t get answers to them, the fact that he asked, that’s the main thing for me. What is the socio-economic background of the students you portray in this film? Is this an issue specific to the town of Herzliya or is it spread across Israel? So, the socio-economic background of these students, most of them are the people we call in Israel as the Sephardim. Sephardim are people who came from the Arab states, like Iraq, Syria, Lebanon, Egypt, and North African countries like Morocco, Tunisia, Algeria, Libya, places like that. Mainly the kids in the film are from these backgrounds. These families usually suffered in the 50s, when they came to Israel. They didn’t have the same opportunities that Jews from Ashkenazi countries had. When I say Ashkenazi, I mean from East Europe or Middle or Central Europe. 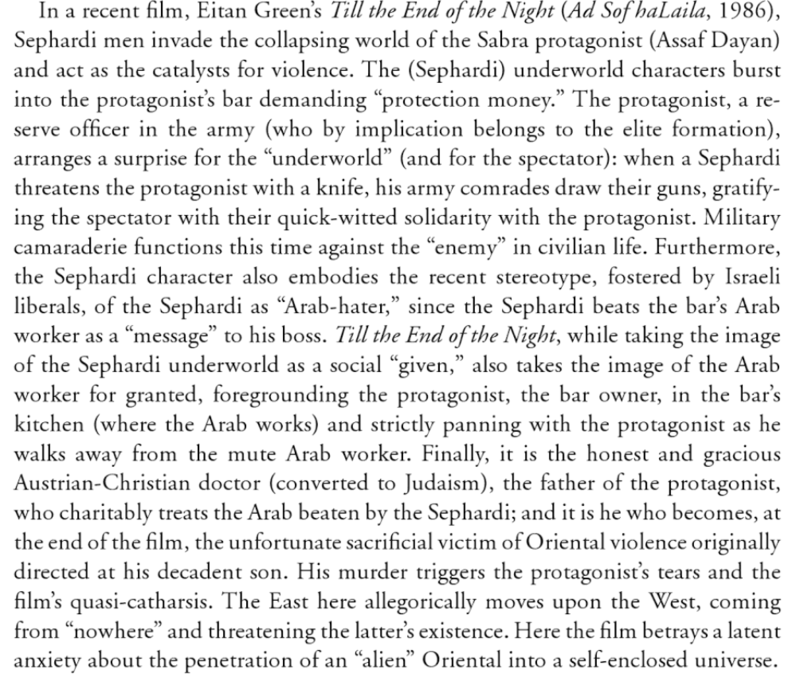 The Sephardi people had fewer opportunities and they needed to change their culture, to fit in with the Eastern European culture. They suffered like any first immigration wave. They didn’t have enough money, they didn’t have enough places to stay, to live in, and places to work at, and they had this cultural barrier that they needed to deal with, in order to be part of the new state of Israel. And so with these families, it’s like successive generations that have to continue to deal with this part of our history. So this is an issue which is there throughout the country of Israel, not only Herzliya. And this issue is portrayed in the film. I don’t know what the conceptions are about my country and my people. I can only guess what they are. I wanted to say through this film something about people, emotions, and relationships. And mainly that things will happen in our lives, for which we will not have answers. We need to find the answers in ourselves, or we need to find the way to these answers from ourselves. It won’t come from anywhere else. Hmm…maybe I wasn’t hoping to say, it just rose up from my writing and directing. It’s not that when directing it, I thought that I want to direct this way in such a way that the audience will think about life’s unanswered questions. I was just interested in telling this story, and deal with the emotional vision of the film. I wanted to get to the final scene, where Asher questions his father. I wanted to get close to the emotions that my main character is going through, and to be with him in this journey. I didn’t mean to break any misconceptions, no, I didn’t plan to do that. Movies from troubled regions must often deal with the burden of having something to say about certain issues, much the same way a writer from a marginalised community is expected to write only about the marginalisation, and not about universal experiences. Was it intentional to leave out any commentary on or reference to the geopolitical scenario? You are looking at a text, you see what’s in it, but you also see what’s not in it. In my movie, there is no direct dealing with the army or things like that. But it is there. Also, it was important for me to show Arabic characters in my film. There is an Arabic kid in the school, and Asher takes from him a shirt. He says this kid is wearing the same shirt as him, but it’s not because the kid is Arabic. He isn’t saying “Dirty Arab,” instead, he asks “Why are you wearing my shirt?” The shirt is a gift from his father, and to Asher, this holds some value. His reaction comes from an emotional place. Then there is Radi, who is a worker. He shows Asher how to work, helps him a bit. When Asher and Radi work together, you can feel that they are close, they enjoy working together. When Asher works with his father, it is always tense, but it isn’t so with Radi. I wanted these Arabic characters in my film to show that they are part of Israeli life, and there is no racism that Asher exhibits towards them. So these are, in a way, statements about our region and our conflict. No, I didn’t have any difficulties in completing this film. Things went kind of smoothly. All images have been provided by the media department at SGIFF. They may not be reproduced without permission.